Avengers Assemble! Marvel Gear + Goods June 2018 Unboxing/Review – AiPT! 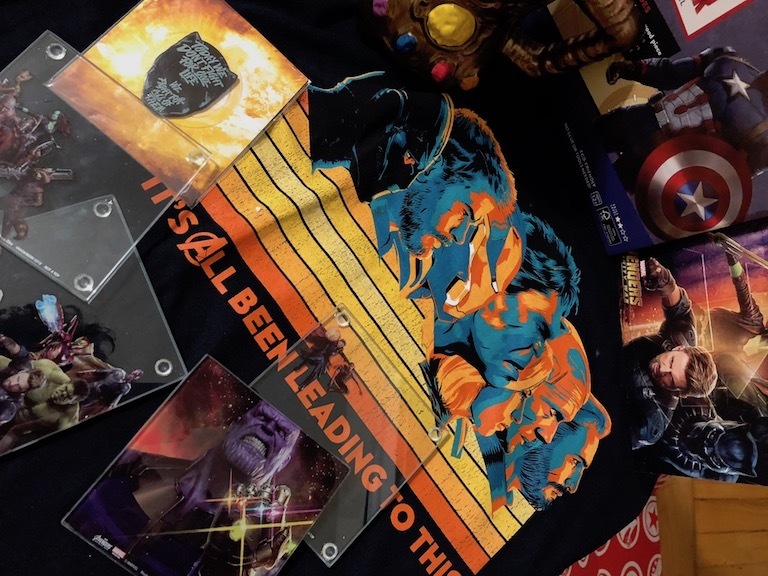 We unbox the ‘Avengers: Infinity War’ Loot Crate. What a year to be a Marvel Comics fan. We not only get Black Panther and Avengers: Infinity War, but also Ant-Man and the Wasp in a few short weeks. What a time to be alive! That also means even better swag from Loot Crate of the Marvel Gear + Goods variety. This month is titled “Assemble” so you know it’s Avengers related. Check out what we got in the unboxing below. As you can see we like a few things, but were underwhelmed by much of what is here. The mug is a good idea, but the paint job on the stones is very meh. The wooden kit of Cap’s shield isn’t our bag and there was a crack in our coasters! The shirt is excellently designed though and totally wearable. The pin is also somewhat big with the text being the highlight coming off as kind basic. A decent box (with a sick shirt) but it left a lot to be desired. A crack in our coasters!